quality and performance that is unsurpassed in the consumer security technologies market. Supports IP Cameras and provides limited support for third party brand ONVIF compliant IP Cameras. (for example, motion detection event and exact search functions that are accurate to one second). Easy to configure, access, and control. Scan QR Code on the NVR from the "Seetong" app available on iOS and Android) to instantly access live viewing and playback. 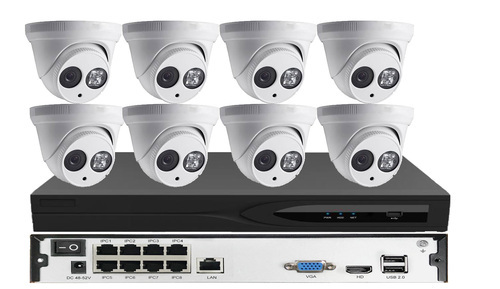 onnects to and manages all the cameras on your network for ultimate ease and convenience in a home security system. Fast and Reliable Watch things happen as they happen: real-time,highly reliable HD video without loss or delay. Conveniently packaged with all needed components such as network cables and quick start guide with user manual.